We love looking after our community. Rich Meats often host inspirational guest speakers for the youth of our community. The children are supplied with a hearty meal while they listen to the speaker. We adhere to the highest standards in quality and hygiene. We pride ourselves on producing quality meat products – ensuring that all our customers are satisfied with their purchase. We source our meats from a range of suppliers. That means you will get the best quality available all the time. We strive to produce quality meat at competitive prices while delivering the finest cuts to our customers. 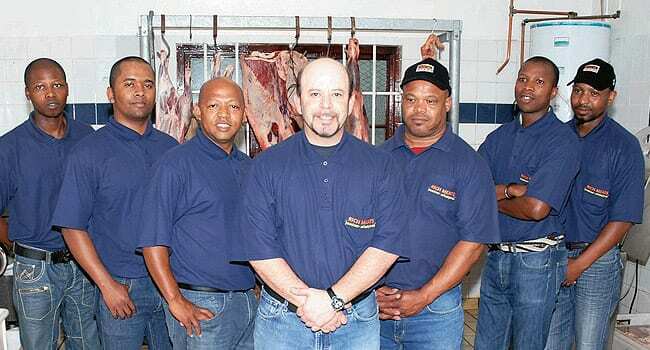 Operating since 2000 Rich Meats is a respected and well known supplier of meat products in the Western Cape. Our distribution centre carries a large selection of meats specially prepared for the industry such as aged steak cuts, karoo lamb, a full range of poultry, including free range, venison, cold meats, a large variety of sausage products, bacon, biltong and droëwors.